There is a World War I novel that I read several years ago, which has recently come to mind – as 2014 marks the 100th anniversary of WWI. 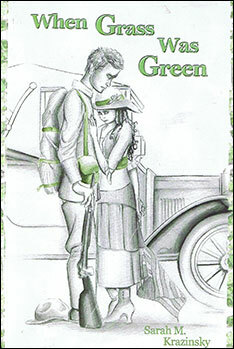 The book is “When Grass Was Green”, by local author Sarah Krazinsky. I can still remember staying up until 3 o’clock in the morning, not being able to put this book down. It is a romance that will keep you on the edge of your seat intertwined, with the coming of age of a young girl, a young town, and a young America. The Steele Memorial Library owns this and many other books related to WWI so stop by to check one out today. This entry was posted in Recommendations, Uncategorized and tagged WWI by ccld. Bookmark the permalink.